Completed New Build in Mayfield, for which we completed the entire roof structure, roofing works, steelwork, fascias, soffits and aluminium guttering system. One of the front dormers for the project above being completed by our carpenters during the 'roof pitching' phase. A different extension down the road in Five Ashes where we also completed the full roof package, including the structure and roofing works. A view of the same roof above during the build, looking up through the roof before the tiles are installed CRB Building & Roofing have completed numerous Carpentry projects in Mayfield including a bespoke extension and a complete roof structure to a one off new build. CRB Building & Roofing have many in house carpenters that form the backbone of our business. Carpentry is found in nearly every aspect of building and roofing work so it’s no surprise that carpenters make up the majority of our tradesman. 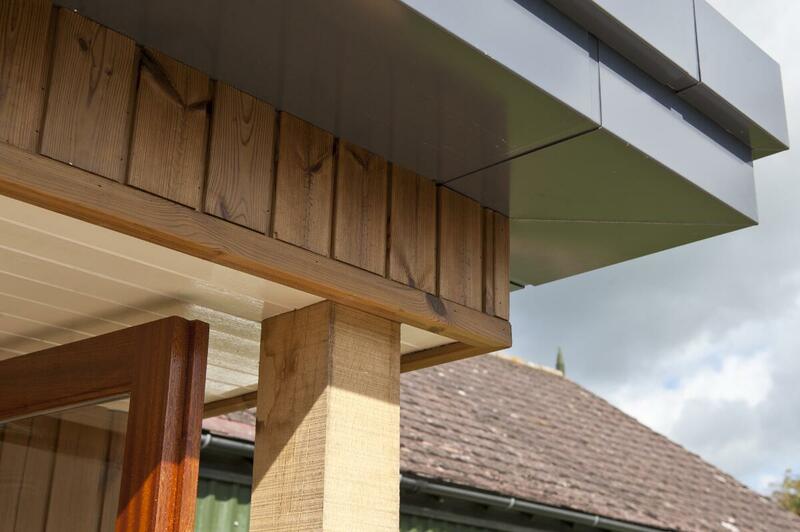 Carpentry includes everything from pitching a roof to fitting a kitchen; here are some examples of works we have completed in the Mayfield area. A good measure of the talent of any carpenter is their ability to pitch a roof. The carpentry in a roof is some of the most complex on any building. We were selected to complete a very complex roof to the new build house in Mayfield (just on the corner of Newick Lane). This took detailed planning and execution; the finished project is a real testament of what our carpenters can do. The new roof is a genuine architectural feature and potentially the most complex pitched roof design our carpentry teams will ever complete. This roof had other a dozen different valleys and seven different ridge heights. These details were all part of adding so many features to the roof and allowed the internal ceilings to be opened right up into the roof space to add to the sense of space and scale.